Ana Barros, the Edmund T. Pratt Jr. School Professor of Civil and Environmental Engineering, and Vahid Tarokh, the Rhodes Family Professor of Electrical and Computer Engineering, have been named members of the National Academy of Engineering (NAE). Election to the NAE is one of the highest professional distinctions for engineers. Barros and Tarokh were among the 86 new members and 18 foreign members announced by the NAE Thursday, and join seven other faculty at Duke University who also hold the distinction. Barros was cited for contributions to understanding and predicting precipitation dynamics and flood hazards in mountainous terrains, while Tarokh was cited for contributions to space-time coding and its applications to multi-antenna wireless communications. Barros joined the faculty of Duke Engineering in 2004 after having served on the faculty at the University of Porto, Penn State University, and Harvard University. Her research focuses on hydrology, hydrometeorology and environmental physics, with a specific focus on how water-cycle processes are coupled to complex local geographical and atmospheric features. For example, Barros led a field campaign in 2014 to help calibrate NASA’s newest weather satellite with ground-based sensors her group has spent years installing in the western North Carolina mountains. This network of sensors coupled with computer models and simulations also allow Barros and her group to work toward increasing science’s understanding of how large weather phenomena develop at small scales. Besides improving weather forecasts, this research can help predict how large infrastructure projects such as dams might affect the local microclimate decades into the future. Barros is a fellow of the American Geophysical Union (AGU), the American Society of Civil Engineers (ASCE) and the American Association for the Advancement of Science (AAAS). She also currently serves as a panel co-chair of the National Academies’ 2017-2027 Decadal Survey for Earth Science and Applications from Space. “Professor Barros’s induction into the National Academy of Engineering reaffirms her important contributions to the field both as a researcher and through her history of generous service to the international community of hydrology and environmental physics professionals,” said Mark Wiesner, chair of civil and environmental engineering at Duke. “Her induction further highlights the quality of the faculty in Duke’s Civil and Environmental Engineering program, where she has also been an innovator in teaching and a champion of diversity. 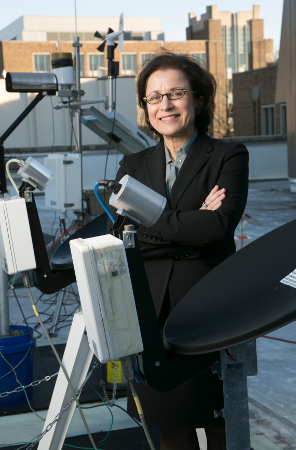 It is wonderful to see her honored at the highest level of the US engineering community." 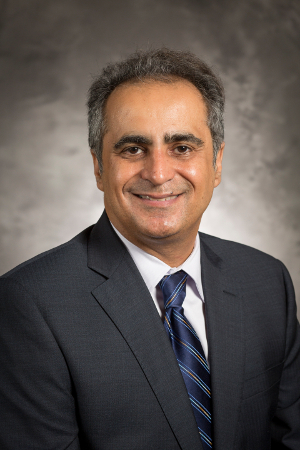 Vahid Tarokh, who holds appointments in the departments of electrical and computer engineering, computer science, and mathematics, was a faculty member at the Massachusetts Institute of Technology for two years and Harvard University for 16 years before joining Duke in 2018. One of the world’s most cited researchers in computer science, Tarokh is known for his singular contributions to signal processing and current work to create new methods for modeling and making predictions from small amounts of data. While working for AT&T Labs in the late 1990s, Tarokh helped invent the algorithms called space-time codes that most modern cellular phones use to transmit data. During his time at Harvard, Tarokh did early foundational work on distributed communications, spectrum sharing and cognitive radios, which help share the spectrum in various bands. He later became interested in researching various areas of signal processing and its applications to radar, interferometry and biology. At Duke, Tarokh is pursuing collaborations aimed at getting the most possible out of small sets of data. For example, he currently has a project aimed at determining how different people will respond after exposure to certain viruses. And as a newly named Microsoft Data Science Investigator, he also has ongoing collaborations focused on inventing new methods for securing and maximizing the Internet of Things and designing brain-inspired organic networks that can reorganize themselves. As members of NAE, Barros and Tarokh will help carry out the academy’s mission of providing engineering leadership in service to the nation. They join more than 2,500 peer-elected members and foreign members in the NAE, which serves as an advisor to the federal government and conducts independent studies to examine important topics in engineering and technology. Including Barros and Tarokh, six Pratt School of Engineering faculty have been named to the NAE in the past five years. Other current members include Robert Calderbank, Ingrid Daubechies, Earl Dowell, Henry Petroski, Jennifer West, Mark Wiesner and Blake Wilson.